Published: Oct. 28, 2018 at 03:39 p.m. Published: Oct. 28, 2018 at 01:32 p.m. Published: Oct. 7, 2018 at 02:47 p.m. 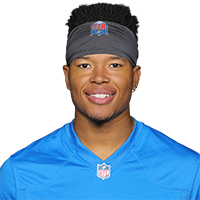 Published: Sept. 23, 2018 at 10:20 p.m.
Detroit Lions quarterback Matthew Stafford launches it deep to wide receiver Marvin Jones for a 33-yard touchdown.